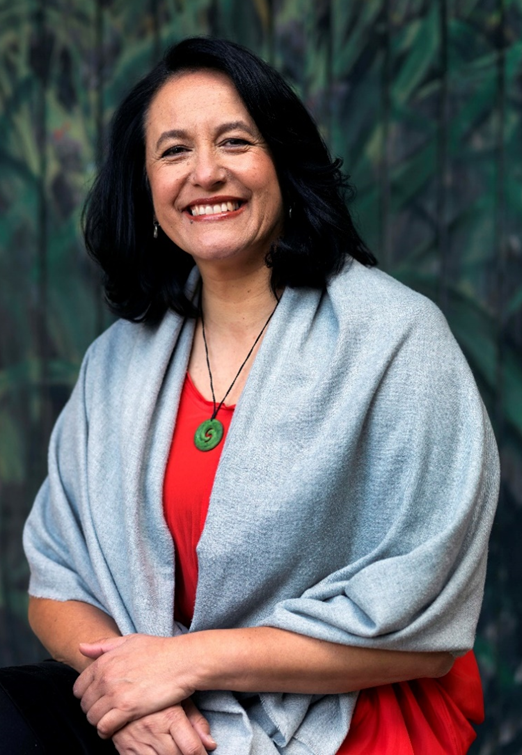 Dr Matire Harwood is from Ngāpuhi with whakapapa connections to Ngāti Rangi, Te Mahurehure and Ngāti Hine. She graduated in medicine (MBChB - University of Auckland 1994) and graduated PhD from the University of Otago in 2012. Matire’s doctorate examined recovery after stroke, designing and testing an intervention for rehabilitation after stroke specifically for Māori and Pacifica. The success of this intervention was published widely and led to changes in treatment guidelines and good practice following a stroke. Matire works in part-time roles to fully express her talents and passions for improving Māori health and eliminating inequity. These roles include working as a general practitioner at Papakura Marae Health Clinic. She is a Senior Lecturer in Māori Health at the University of Auckland where she teaches students and supervises Māori doctoral students. Matire is a leading Māori health researcher with over 50 peer-reviewed scientific publications and leading numerous research projects. She is committed to changing health outcomes for Māori by improving: health practice by training senior medical students in Māori health, clinical practice by doing research to improve guidelines for clinical care for Māori, and research practice by improving researchers accountability to Māori and Te Tiriti o Waitangi. Matire particularly seeks to improve uptake of research about Māori as the editor of the Māori Health Review (MHR), a summary of significant medical research affecting Māori to over 5,100 subscribers. To date, Matire has been recognised with many awards including scholarships during her studies, awards and recognition from her peers. Matire received the Marire Goodall Award from Te ORA (Māori Medical Practitioners Association) for her outstanding contribution to Māori health. In 2018 Matire is honoured by Health agencies with the Matariki Award from Auckland District Health Board, Te Tohu Hautoa from the National Hauora Coalition and the prestigious L’Oreal UNESCO for Women in Science Award for her contribution to science and research. Matire is highly sought after as a member on various committees and boards, having served on Ethics Committees, the Board of the Health Research Council of New Zealand and the Auckland District Health Board. On top of all this work, she has a loving family including two children. Dr Matire Harwood is a leader because she demonstrates great aroha for our people.